The years are changing so quickly now that it’s becoming more difficult to remember what year it is, and the same goes for consumer habits. Each new year brings a bevy of trend reports, which I always enjoy reading for their expert insights on particular sectors. Some of my favorites from this year include Retail trends from Shopify, Global Consumer trends from Euromonitor, and Skift’s Travel trends. The Global Wellness Institute always gives us detailed and relevant information on trends affecting the spa and wellness world in their global Wellness trends report. And this year, I found a really interesting piece on mindfulness trends in design:retail magazine, with examples that combine experiences and retailing. 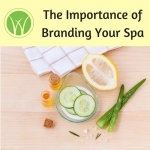 All of these are excellent reading on their own, and there are many ideas and concepts to glean and adapt to your own spa and wellness business needs. But after you read them all, you will probably see that there are really just a few macro trends that we need to adapt to. Here are the big three that stood out to me. Probably a result of both the growing population and the explosion of technology attracting our time and attention, people just really want to stand out as an individual. Consumers don’t just want experiences, they want experiences that are tailored to THEM. You’ve no doubt seen the proliferation of DIY shops, where you can make artwork, or ceramics, or learn to cook. You can find myriad sources online where you can personally design clothes, sneakers, artwork, you name it, and have it delivered. One; consumers today, especially millennials, like to share their experiences with others. 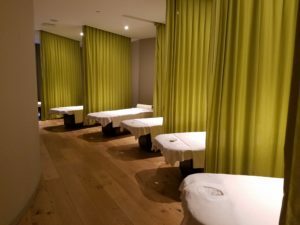 Going into a room for a treatment, alone with the technician, which boomers have always enjoyed, is presenting new challenges for spas. Quiet, dark, library-like spa spaces are not an appealing destination for many consumers today. This is a sea change that has to be handled from the design of facility and menu through marketing and operations. But it clear that socializing and enjoying experiences with others needs to be woven into our spa fabric. Two; the sharing marketplace. The explosion of ride-sharing, co-living, co-working and material goods exchanging marketplaces is unprecedented. It has its roots in economic pressures, but once you get in the habit, it can feel wasteful to buy a new book when there are perfectly good “slightly used” options. Fortunately, spa experiences can’t be recycled! But what happens to slightly used or returned retail products, is there a women’s shelter that could use them? What about a “buy one, give one” promotion, a la Tom’s shoes? Just thinking out loud. This is another concept that really took root during the recession, and has not gone away. Consumers have always been attracted to deals, and this holds true even in high-end and luxury markets. At Wynne Business, we have never been a fan of discounting spa services, but you do have to recognize the realities of your marketplace and adapt accordingly. If you are going to have to promote certain treatments in order to sell them, you will need to price them accordingly and preserve your margin. Promotions that feature value-adds are always a good approach; a full-priced facial with a free mask or serum, or an 80-minute massage for the price of a 50-minute, still preserve your basic pricing but allow the consumer to feel they are getting a deal. How about a “bring a friend” promotion, that can also address the community aspect? It would appear that the search for a “deal” is here to stay, so your spa business has to participate while preserving profitability. I’d love to hear your ideas and thoughts! Please visit our Facebook page and share your feedback.